​​"THE REMARKABLE BEAUTY OF BREAD IS THAT THEIR PURE, UNINHIBITED SENSE OF PLAY IS ACTUALLY CAPABLE OF AWAKENING A GENUINE CHORALE FOR SOCIAL JUSTICE." BREAD's inaugural production. This punk-speed bacchanalian party-show ran for 28 weeks in 2015 at People Lounge in 2015. Directed by BREAD member Ben Lewis, this Waiting for Lefty grounds the classic in the present with BREAD's signature, wild irreverence. An original outdoor theater production commissioned by historic Gree​n-Wood Cemetery. Pump! Pump! Pump those nips! This bi-annual production is a curated evening of themed performances ranging from installation art, poetry, film, theater, music, and whatever else you can think of. 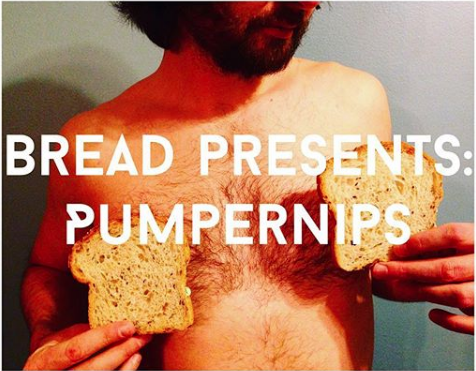 A very special holiday Pumpernips. Featuring the "slices" of BREAD, a festive variety show filled with music, comedy, film and theatre!